When a player, as big as Aguero, is left out of the squad for a new teenage arrival at the club, there are certain eyebrows and doubts that are going to be raised by the fans and the player himself. 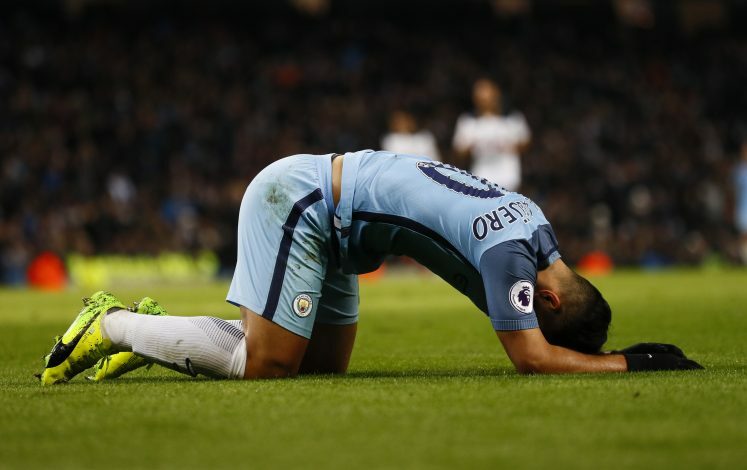 Unsurprisingly, Sergio Aguero has hinted he is doubtful over his Manchester City career after being halted out on the bench for 2 matches out in a row and says it is up to the club to decide if they want him after the summer. In reply to this, Senior Officials at City have strongly insisted that their main man will not be allowed to leave anytime soon, according to reports in The Guardian. Guardiola and Aguero have not had the best manager-player relationship one can talk about and his exclusions from the team in wins over West Ham and Swansea have further damaged the cause and created unwanted rumours and an air of uncertainty. The Argentinian has been replaced by Gabriel Jesus, Pep’s recent January purchase who has given back the faith by scoring 3 goals in two starts for the club. Auger further added that he is ready to wait for his chance off the bench and make the most of it when that arrives. At the moment, he is ready to contribute as much as possible in the next three months and also help Jesus in the time to come. When asked about his secret meeting with Pep, he replied by saying it was nothing exclusively private as it was related to the club and it is meant to stay within those walls.